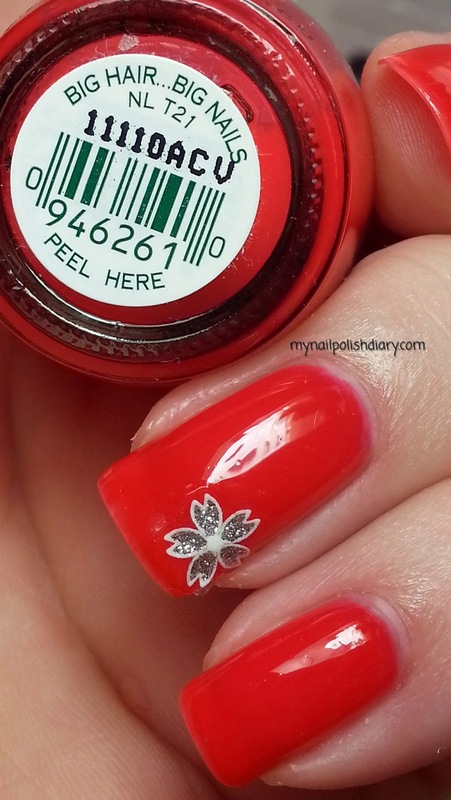 What a great name for polish. Since I love big hair and I love big (long?) nails it's just perfect. I have one more sorbet from the Texas collection then I'll have them all. I am going to do a post with all the sorbet polish once I get the last one done in the next few weeks. 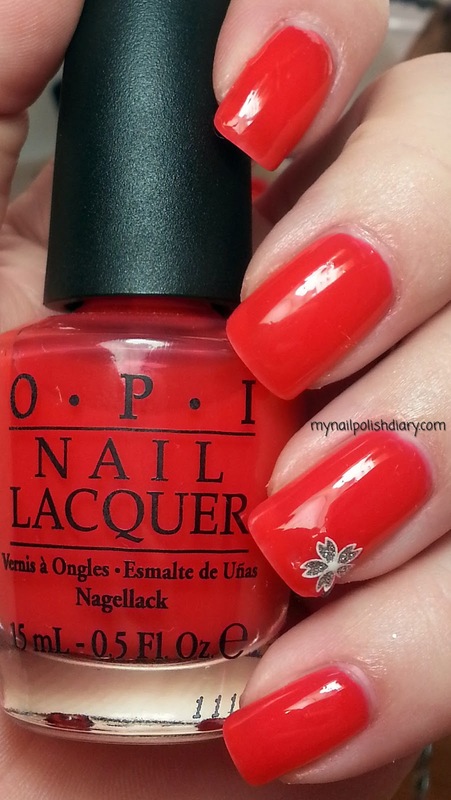 OPI Big Hair...Big Nails a reddish orange and was released in the spring 2011 Texas collection It had 6 of what OPI called sorbet finish. It's basically a jelly. I love me some jelly polish! I have quite a few shades in jelly finish. I don't have a black though, and I'd really love to find one. So far, no luck. I'll keep looking though. For the accent nail I added a silver glittery nail sticker. It's a cute addition. I have a metric ton of nail stickers and really don't use them often enough. Hopefully I'll remember to use them more in the future.